Tarumanegara Kingdom was located in Bogor, West Java, which is the second oldest Hindu kingdom in Indonesia. In China news, Tarumanegara called To-lomo. The establishment of the Kingdom of Tarumanegara suspected along with the Kingdom of Kutai, which is in the 5th century AD. Inscriptions are relics of the kingdom Tarumanegara based on where its discovery, among others, as follows. 1. Inscription Ciaruteun (Ciampea), found on the banks of the River Ciaruteun (Bogor) near the estuary with Cisadane. 2. 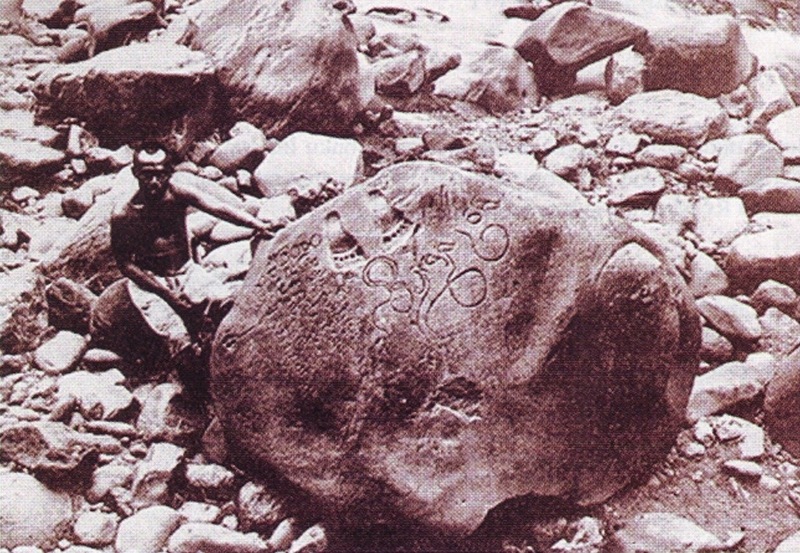 Inscription Pasir Jambu (Koleangkak), found in the plantation area, about 30 kilometers west of Bogor. 3. Inscription Kebon Coffee, is located in Kampung Muara Hilir, Cibungbulang (Bogor). Written in poetic form Anustubh. 4. Pasir Awi and Inscription Inscription Cianten Estuary. Monument inscriptions, found in the Monument. This inscription is The longest inscription of all the inscriptions of King Purnawarman heritage. This inscription Anustubh poetical. Inscription Inscription Cidanghiang or Lebak, found on the banks of the River Cidanghiang, District Munjul, Lebak (Banten). 5. 5. Inscription Ciaruteun,In the inscription, there are former feet King Purnawarman. The former the feet was believed to be like the feet for the god Vishnu. Life of the community's economy is agriculture and animal husbandry Tarumanegara. Excavation is completed, King Purnawarman held salvation by giving the 1000 prize cows to the Brahmins. In addition to Channel Gomati, Tugu Inscription is also mentioned in the excavation Channels Candrabhaga. 0 Response to "History Of Tarumanegara kingdom "